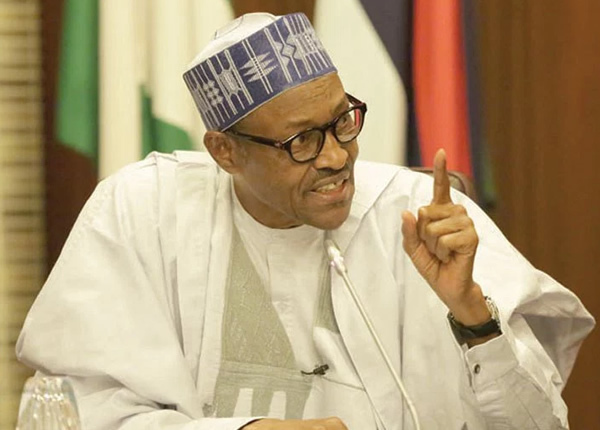 Home / News / Buhari: "I Won't Steal Nigeria's Money, I Pray 5 Times A Day"
Buhari: "I Won't Steal Nigeria's Money, I Pray 5 Times A Day"
President Muhammadu Buhari has asked his children to study hard, saying he will not steal Nigeria's money. The president said this in a documentary entitled "Buhari: Beyond the Iron and Steel" aired on Nigerian Television Authority last night by the Presidency. Buhari also said the goodwill he enjoyed from the masses kept him in politics. He added that his central objective was to provide transparency and accountable government. "I pray five times a day thanking God that allowed people to understand and believe me. This goodwill that I enjoy from the masses is what is keeping me in politics and of course, my central objective is to provide transparency and accountable government," he said. "He gives you things to do and leaves you strictly to do those things. No interference at all, once he has confidence in you...And he cracks those jokes, and manages to still keep a straight face." -Vice President Yemi Osinbajo. "He gave me some priority projects: Mokwa/Jebba road, Lagos/Ibadan Expressway, and Second Niger Bridge...He never appends his signature to anything, unless you've explained, and he understands it." Mr. Babatune Raji Fashola, Minister of Power, Works, and Housing. "When we were in the opposition, you needed to see how we rolled on the floor in his living room, as we laughed. Of course, we can't do that again now." Mallam Nasir El-Rufai, Kaduna State governor. "I wish I had his patience. He would listen to everybody and then take a decision. He is a reformed Democrat." Governor Ibikunle Amosun of Ogun State. "How I wish Nigerians know his softer and accommodating side. Very jocular. But it is our duty to tell them." Abike Dabiri, Senior Special Assistant on Diaspora Matters.